Chemical burn! Please be careful! 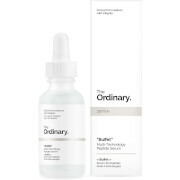 I suffer from acne on my chin and have been looking for a product that will help. 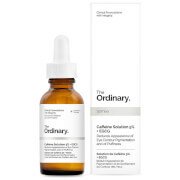 I recently came across products that use salicylic acid as a component, and I have had good results. When I came across The Ordinary’s range and read plenty of positive reviews regarding their salicylic acid solution.. I thought I’d give it a go. I did a patch test to be cautious as I didn’t want anything like this to happen, which went perfectly fine. The following evening I used a small amount of it on my chin and woke up the next morning horrified with the results! I had painful blisters all over my chin, it was swollen and very painful to touch. Not only am I upset about my acne, I now have painful blistering and burns over my chin which has made me unable to leave the house without feeling self conscious. 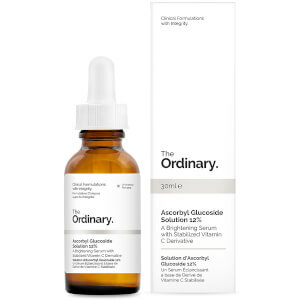 This is the first time I have ever reviewed a product, but I feel as if I needed to share my experience to raise awareness about this acid and how it can affect certain skin types. I have been using this twice a day for three weeks and definitely see a difference. I use in the morning after washing my fave and before moisturiser and again in the evening. I have always suffered with mild acne around my chin and this has improved it more than anything i have ever tried before and at the age of 31 i have tried a lot! 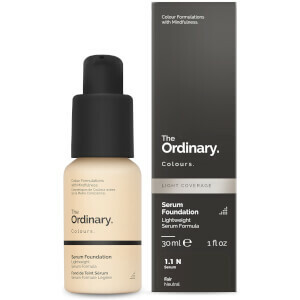 Will be buying the whole ordinary range as its incredible value for money and i would definitely put it up there with the likes of clinique! So I have only been using this for about two weeks so the day so my finally results are still a ways off. I will say that my diet strongly affects my skin and I've been eating terriblely. Long story short, since I've started using this I have almost no cystic acne, if be it does come out it's gone within a day or two. My Poor's look smaller, my whiteheads are coming to the surface, it seems like great stuff. I think that if I really clean my diet up this alone could vastly improve my acne and I'm definitely going to be buying it for a long time. Disclaimer: I have used retinoids and other chemical peels so my skin is quite resistant to irritation. I've been using it BID am and PM and it works wonders. I have combination skin, I was having problems with cystic acne. I used to have occasional breakouts, than it got so bad it was making me paranoid and I had resorted to a huge amount of foundation. In less than a month it had cleared my skin. I still get the odd pimple, but this speeds up the process. I have been using it for about 6 months now with the niamine and plant based squalene. I will probably use it forever. Also it is cheap, vegan, cruelty free and a little goes a long way. I'm still in the middle of actually trying and seeing difference, but the application is smooth and it has reduced the pigmentation and acne in just a week! Amazing! Will definitely recommend it to friends. Makes some spots better but also makes others worse. It’s impossible to predict. Not worth using and definitely did not live up to the hype of the other reviews. The first time I used it, it actually turned my pimples into massive blisters... was beyond embarrassing. I have sensitive combination skin were harsh acne treatments usually dry out my skin, even tho my skin was dry i suffer with clogged pores on my cheeks and sometimes forehead ive tried everything from clay masks to peel of masks to unclog my pores but everything was a temporary fix, a week in to using this my cheeks calmed down, dilated pores shrunk and blemishs smoothed out. simply amazing !! !